It’s been a day since Yuvraj knocked 150 runs with his exploding bat at Cuttack and internet still could not stop talking about it. This match at Cuttack might remain the most memorable and talked about match of this year. 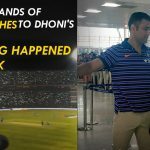 After Team India’s spectacular victory, today was the day when they were supposed to leave for Kolkata from Bhubaneswar. But before leaving for airport, Yuvi did something so incredible that it will enlighten the candle of hope in thousands of hearts for years to come. Everyone knows there was a time, when Team India was incomplete without Yuvraj on the list. But later in 2011 whole nation found out when Yuvi decided to come in public about his malignant cancer. and Yuvraj chose to face them. Later on that year after months of treatment and rehabilitation, Yuvi returned to claim his throne in Team India. Cancer does not mean death and Yuvraj realized it way before the treatment and kept fighting with it without giving up. 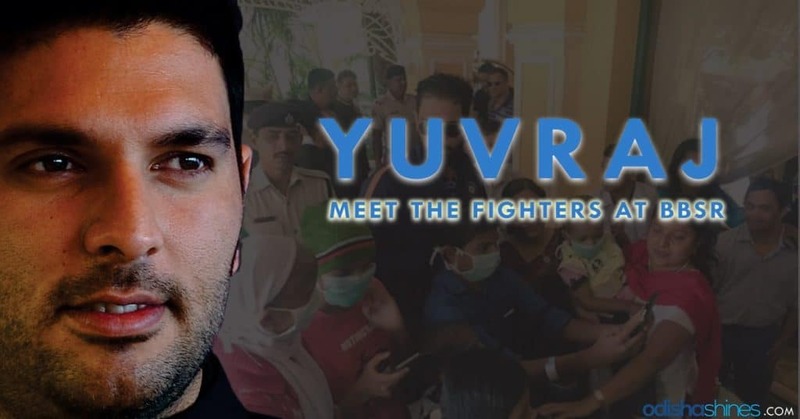 This morning before leaving for airport Yuvraj decided to share his experience of not giving up on life, with those innocent children of Odisha who were suffering from cancer. Hoping that it will give them hope to fight this deadly disease, Yuvraj cheered them up before leaving Odisha. India’s former international cricketers Debashish Mohanty and Shiv Sundar Das of Odisha organised the meeting with Yuvi. The children, who are undergoing treatment at a private hospital in Cuttack, were inspired and cheered up after spending time with Yuvraj.